Does Brexit Spell Boom or Doom for European Integration? 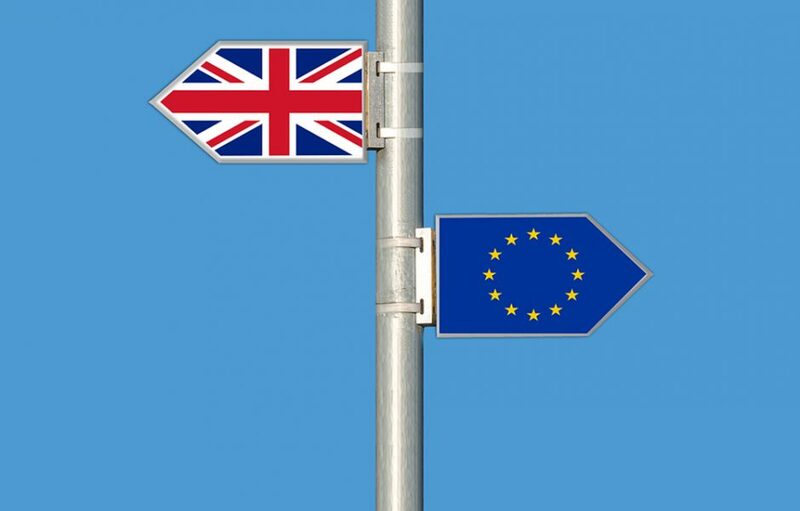 New Senior Lecturer for the Institute for Diplomacy and International Governance, Dr Tim Oliver, speaks about what Brexit means for the EU in our latest blog. New Britain’s relationship with the EU and European integration has rarely been smooth. Britain’s decision to leave might therefore free the Union of what Sheffield University Professor Stephen George, in his 1990 book, termed ‘an awkward partner’. But note the word ‘might’. As with any Member State, the extent to which the UK has shaped European integration is difficult to accurately measure and assess. Britain might be described as ‘an awkward partner’ but that doesn’t mean it’s ‘the awkward partner’. Other Member States have also been awkward and Britain’s own contributions can often be overlooked in favour of a focus on when it has been difficult. Nevertheless, with Britain headed towards the exit, the EU needs to assess how it will be changed by the departure of its third largest Member State. Before the UK’s referendum, views were expressed that a vote for Leave could bring about significant changes to European integration. On the one hand stood the prospect of the EU unravelling, with the UK’s vote triggering similar referendums elsewhere in the EU, perhaps even provoking the Union’s disintegration. On the other hand, there was the possibility that the UK’s withdrawal could lead to the strengthening of the Union by facilitating further integration. As of the summer of 2018, fears that the UK’s withdrawal would lead to the unravelling of the EU have proved unfounded. Nevertheless, the effect of the UK’s withdrawal on the future of European integration remains open to much debate and speculation. To assess what the full effect might be, the European Parliament’s Committee on Constitutional Affairs commissioned a report into the topic that was released recently. ‘The Impact of the UK’s Withdrawal on EU Integration’ was edited by myself and with contributions from Catherine Barnard, Steven Peers, Matthias Matthijs, Linda Hantrais and Garvan Walshe. We approached the question by looking back at the UK’s positive and negative effects on European integration in several areas. From this we drew up an assessment into how the UK’s withdrawal would affect future European integration. The areas chosen were the internal market, social policy, justice and home affairs, the Eurozone, and foreign, security and defence. These areas were chosen because they cover the EU’s political economy (internal market and the Eurozone), society (social policy), and Europe’s security and international standing (the area of freedom, security and justice, and foreign, security and defence cooperation). Each of these areas has seen varying degrees of integration both historically and more recently. The UK’s involvement also varies in each area, due, for instance, to its non-membership of the Eurozone contrasting with its central role in the internal market and its ambivalent role in defence and security policy. The full report – which can be found here – was presented to the AFCO committee by Garvan Walshe at a special workshop on 11 July. The report shows that in some areas the UK has delayed or blocked European integration, making it more of an awkward partner in European integration than most other Member States have been. The UK’s opposition to European integration stems from the UK’s domestic politics, where, in contrast with the situation in other Member States, British politicians have rarely if ever pursued anything more than a transactional approach to EU membership. The UK’s departure could therefore be an opportunity for the remaining EU to integrate further. However, it should not be overlooked that, often, the UK’s delaying and blocking tactics have been bypassed. One famous example is in the Eurozone, where Britain’s opposition to the Fiscal Compact led other Member States to establish the agreement outside the EU. The UK’s withdrawal is also not a short-term process; as it continues there is a risk that the UK could become a non-EU alternative that appeals to Eurosceptics in the remaining EU Member States. Furthermore, other Member States have also been awkward partners. Their awkwardness is now likely to play out in a process of differentiated integration, where some Member States integrate more quickly in some areas compared to others. While the EU is unlikely to disintegrate because of the UK’s withdrawal, the report notes that significant systemic challenges remain, not least within the Eurozone and in facing a range of international pressures. This means the effect of Brexit on European integration will be determined by a balance between two effects. First, the UK’s success or failure outside the EU and how this is perceived within the remaining Member States. Second, the EU’s ability to overcome its systemic challenges, and so continue to demonstrate to EU citizens that, compared to other options, it can respond to their political demands and provide effective solutions to the problems they face.